The Niagara Region Wine Industry has been a vital foundation of the Niagara Region for over 100 years, the ideal climate and soil type make growing grapes an ideal location. In the last 25 years a new found passion in wine has developed in the Niagara Region, creating world renowned wineries that take top awards at some of the most prestigious wine tastings around the world. The Niagara Wine Region extends from Niagara Falls, St. Catharines, Vineland, Beamsville, Grimsby and Niagara on the Lake. Niagara Region Wines are part of VQA, VQA wine meets the following standard: Wine must be made from 100% fresh Ontario grown grapes. Niagara creates a wine suitable for every pallet including its world famous ice wine! Each year at harvest time the Niagara Region celebrates with the annual Wine Festival, two weeks worth of events focused around the wines of the Niagara Region. Located in the backyard of the Fallsview Family Vacation Home is the Mount Carmel Montastery Vineyard. Five acres was planted with Vidal grapes with the goal of making Ice Wine through a partnership with Reif Vineyards in Niagara on the Lake. This is a new vineyard and will take a few years until the grapes are ready to harvest and be processed into ice wine. 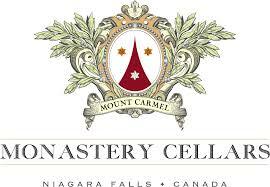 The wine will be stored and sold directly at the Mount Carmel Montastery in Niagara Falls. Located in Vineland Ontario, 20 minutes from Niagara Falls, Vineland Estates for over 30 years has offered an unparalleled wine experience with a breathtaking view. Vineland is passionately committed to authenticity and excellence in all things and has been singled out as a top producer of award-winning Riesling and Cabernet Franc. Located in Niagara on the Lake Wayne Gretzky Estates Winery and Distillery is one of the Niagara Region’s newest wineries and distillery combined ventures. Enjoy tasting bars, retail stores, tours and seminars throughout the day, and a VIP tasting room. Relax with a cocktail on the patio overlooking a summer water feature that transforms into a skating rink in the winter.